Oltingue (770 inhabitants) is situated in 387 m of height, at the edge of the Ill river. The village of Oltingue was mentioned for the first time in a text in 1141. It's former church St-Martin of Fields (XIVth century) and the beautiful Callinet Organs (1842 ) of the present church St-Martin are classified historic monuments, it's Peasant Museum illustrates the rural life of the Sundgau. Redrawing the Alsatian traditions, the workshops of the clog maker "Sabotier" and the tiled stove builder "Poêlier" can be visited. 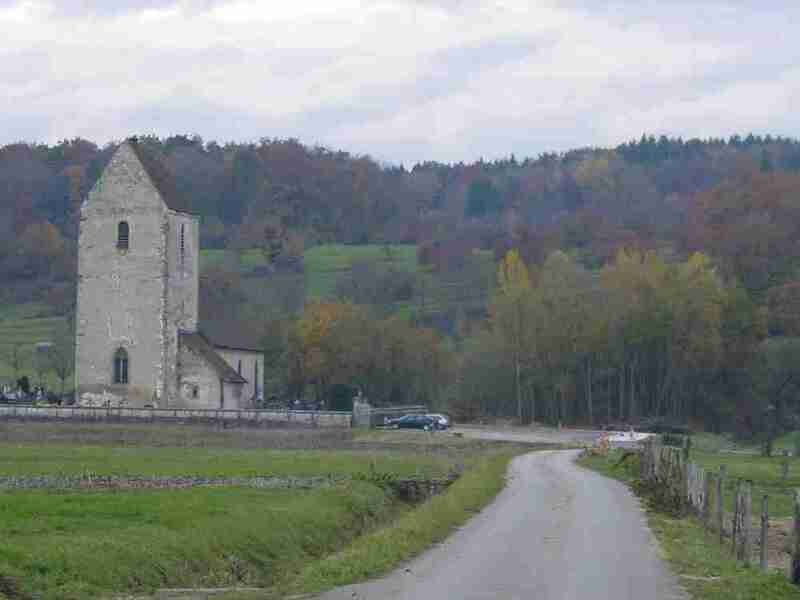 The Chapel Saint-Brice can be discovered 3 km away of the village, in a clearing of the municipality's vast forest massif. You will find the following commodities in Oltingue : a bakery/pastries shop, a grocery store/post house, a garage, a bank, a cash dispenser, a hairdresser, a pizzeria, two restaurants, two general practioners and a camper area. A drugstore, a dental clinique, and a police station "gendarmerie" are located in Ferrette (10 km). 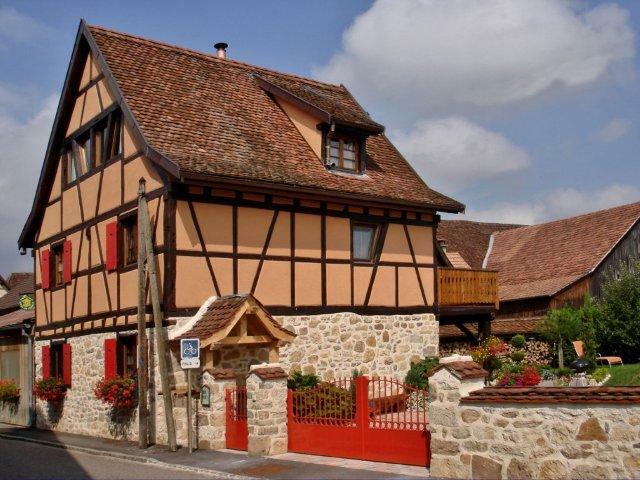 Our Guest-house "La maisonnette" is the ideal point of departure to visit the whole Alsace, the South of Vosges, the territoire of Belfort, the Black Forest in Germany or close Switzerland. 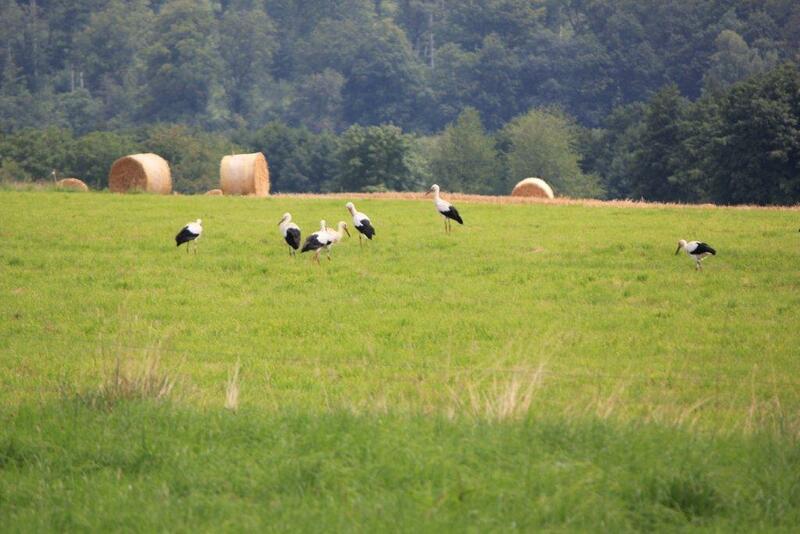 Hikes, walks in the forests and bike rides on discovery paths in the surroundings, Winkel (source of the Ill river), Ferrette and Leymen (visit of the castle ruins), Lucelle, Burg in Switzerland, the Alsacian and Swiss Jura, will charm you.